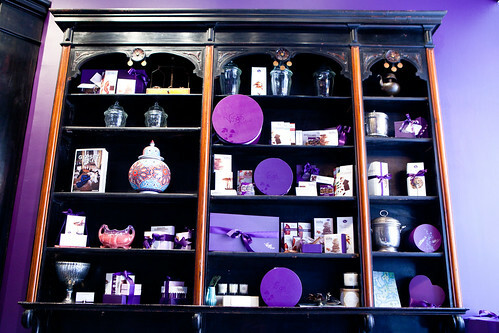 Visiting Vosges Haut Chocolat in SoHo for Ice Cream and Bacon + Chocolate! 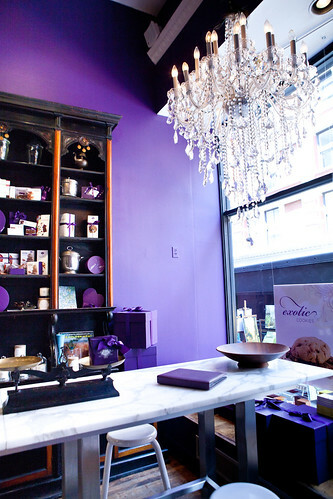 In New York City, there are two boutiques – the first one in SoHo and the other location in the Upper East Side. I’m more of a fan of the downtown (SoHo) location just because I shop around that neighborhood more often and I am partial to the dark, luxe bohemian look of this boutique rather than the streamlined look of the Madison Avenue. 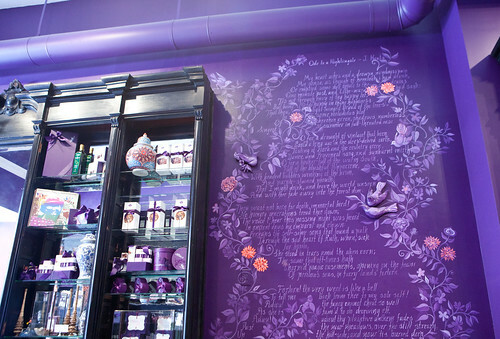 I wanted to stop by Vosges last week was to have their ice cream. Appropriate timing as we’re all melting in this insufferable heat in NYC and I was curious about their exotic ice cream flavors like pandan. I walked up to the counter and the friendly salespeople were willing to indulge my craving of trying each of their available ice cream flavors, which were Pandan dark chocolate, Aztec (dark chocolate with chilis and cinnamon) and Naga (coconut curry). 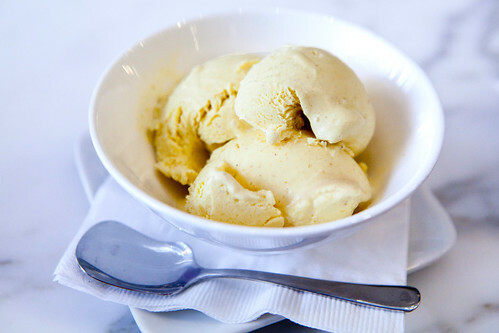 The pandan was the creamiest of the three ice creams. It eerily tasted like chocolate and hazelnuts with a faint hint of vanilla, even though it’s dark chocolate and the pandan. 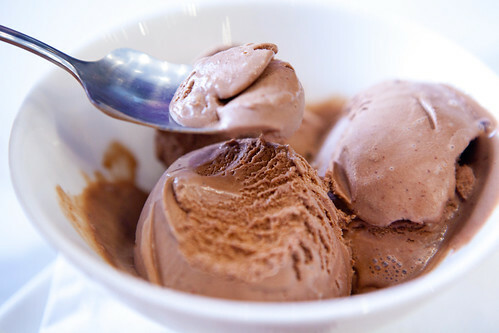 It’s insanely delicious and would make one decadent milkshake. The Aztec tasted almost like the liquid form of that namesake truffle (seen here). 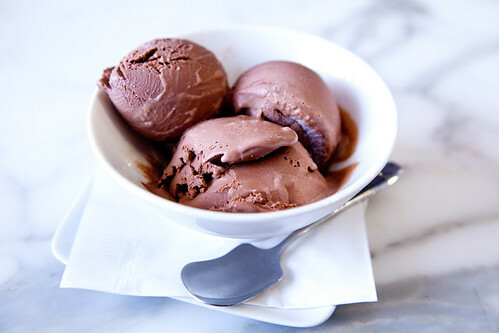 The dark chocolate background introduces the sharp, smoky heat of the ancho and chipotle with cinnamon softening the heat as time passes on. The Naga was the lightest in texture (as in not as creamy but still very enjoyable). Curry was the first thing I tasted then midpoint to finish was the coconut. 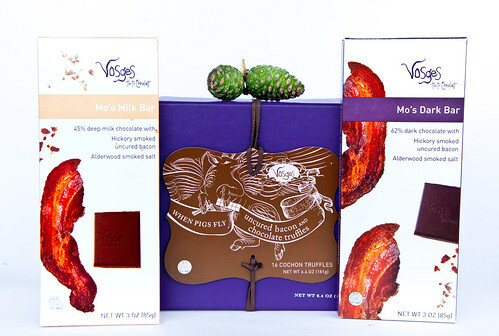 I have the minimum requirement of taking at least something bacon + chocolate whenever I go to Vosges. It’s sophisticated, edible crack. I picked up their recently released box of Bacon + Chocolate truffles collection (16 pieces $48) and the dark and milk chocolate Mo Bacon chocolate bars ($7.50 each). For me, this amount of chocolate would last for 3-5 days (The box could arguably be eaten in one sitting.) I love the balance of salty, slightly smoked bacon and the chocolate that neither are dominating over each other. 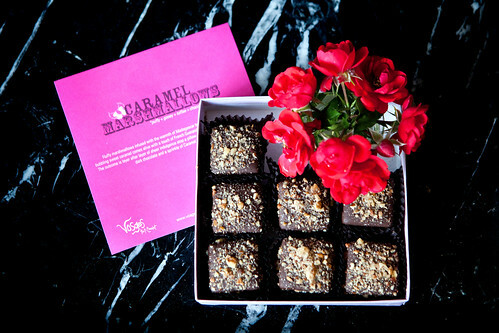 The other confection taken along with me was the Caramel Marshmallows (9 pieces, $27). 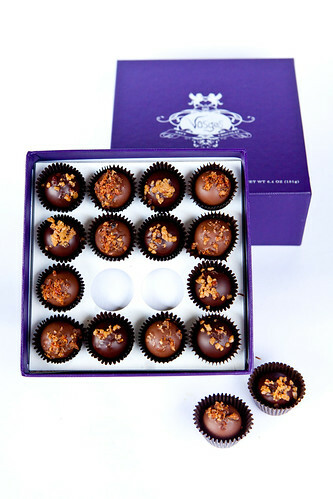 The large confection cube, about the size of my palm, is with layered with fluffy, Madagascar vanilla marshmallow, chewy, silky caramel, enrobed in dark chocolate and topped with pecan walnut toffee. 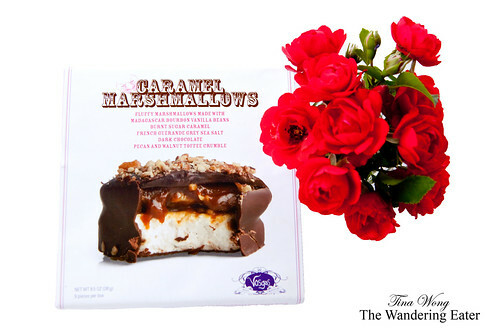 It would make a luxuriously decadent s’more – that’s if I had graham crackers. 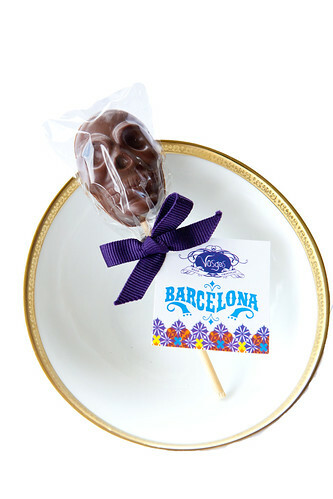 The unexpected surprise was the Día de los Muertos Skull Barcelona Lollipop, as this item is not sold yet until September. If you are familiar with this Mexican holiday (translated as “The Day of the Dead”), it’s celebrated the day after Halloween and November 2nd. Beyond the fun/cool aesthetic of this lollipop (I dig the skull), this is still the familiar Barcelona that a Vosges fan is acquainted with. 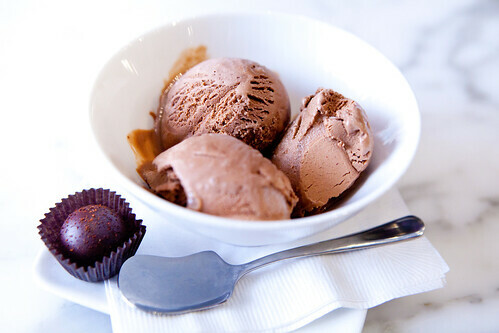 Dark milk chocolate with smoky, nutty roasted almonds with a hint of sea salt to heighten and meld the flavors. 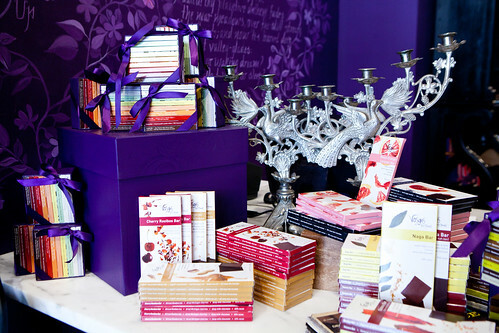 If you are not familiar with Vosges, I suggest you to stop by their boutique. The SoHo shop is great eye candy (pun intended) for the design. Their delicious chocolates, confections, ice creams, and chocolate-based beverages and friendly salesclerks make it a worthwhile destination.